Looking up the incline to Rhosydd from the bottom. The incline drum is just below the skyline at point A. The vertical drop of the incline is 670 feet and its length is 1250 feet. This gives an average gradient of 1 in 1.86. Climbing the incline is not recommended. Near the bottom of the incline are several ruined wagons, reminders of derailments and runaways many years ago. Behind the wagon can be seen a wheel on its axle and an incline roller. The Y junction of the tramways to Croesor Quarry (left) and Rhosydd Quarry. 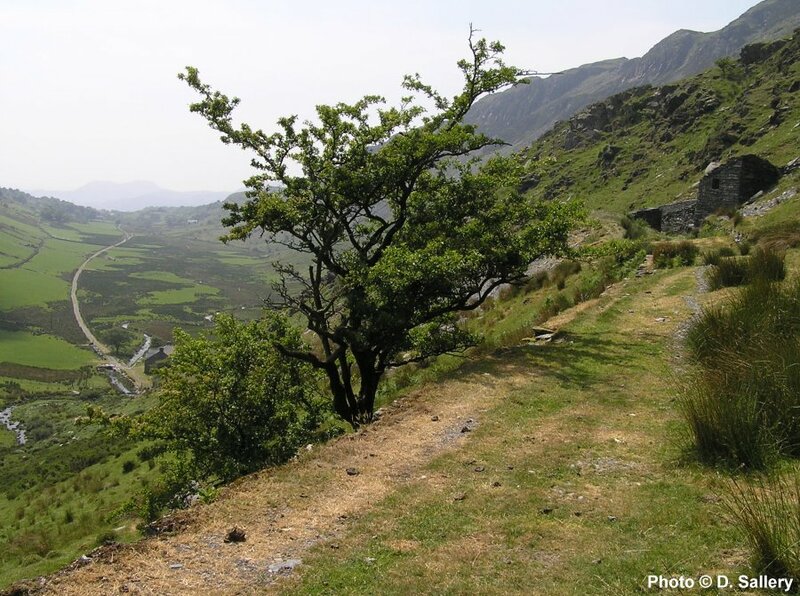 From this point on the route is known as the Croesor Tramway. The top of Blaen y Cwm incline is in the background. 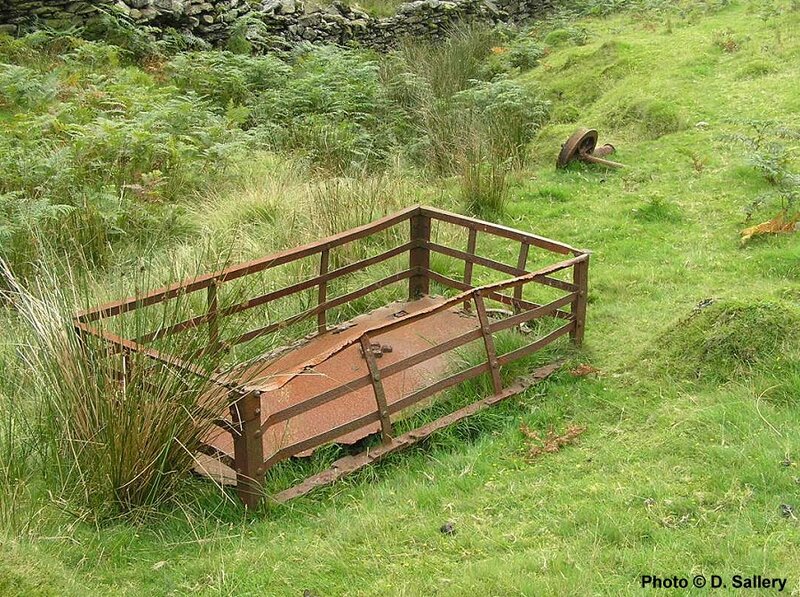 Near the head of Blaen y Cwm incline. The onward continuation of the tramway route is the white track in the valley floor. 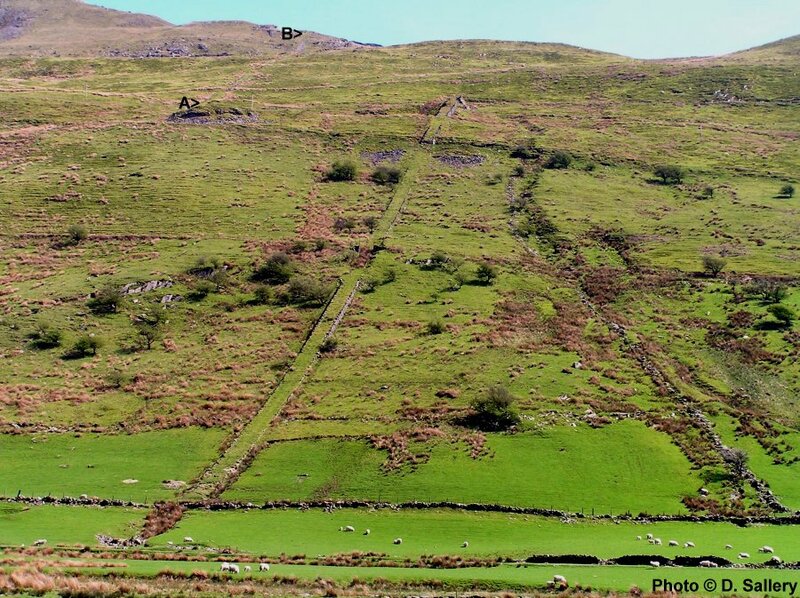 The bottom of Blaen y Cwm incline marks the beginning of the almost level section along Cwm Croesor. 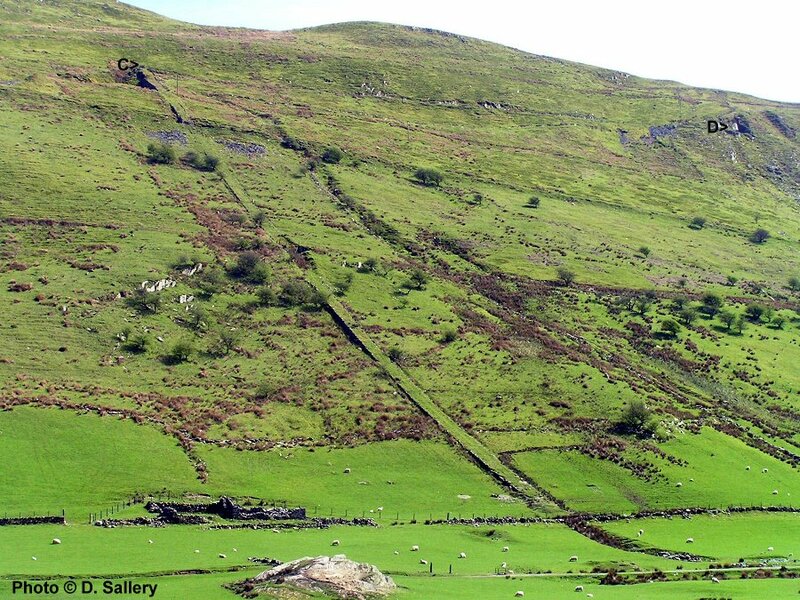 After Croesor village there are two further inclines which take the tramway down to the Glaslyn valley. 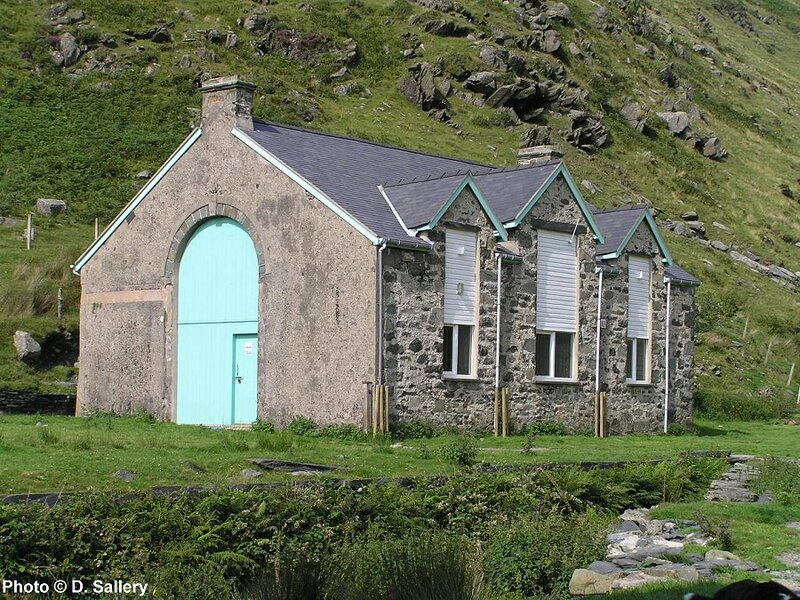 This building, at the bottom of the incline, was formerly the power station for Croesor Quarry. 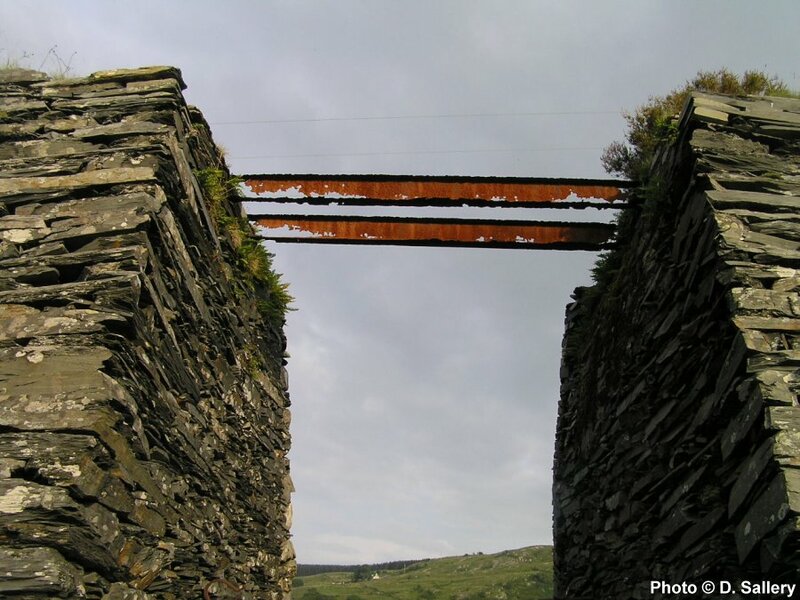 It was built by Croesor's manager Moses Kellow for his electrification of that quarry in 1904. In the year 2000, after many years of disuse, it was converted back into a hydro-electric power station. The lower of the two inclines which once carried slate from Pant Mawr Quarry. The upper incline is to the left on the line between points A and B. The upper incline was later abandoned and a new tramway was built from the top of the lower incline along the side of the hillside to the right. This ran from point C to point D (below) where it entered a tunnel through the hillside. The reason for this course of action was that the upper reserves were exhausted and slate extraction had moved downhill. 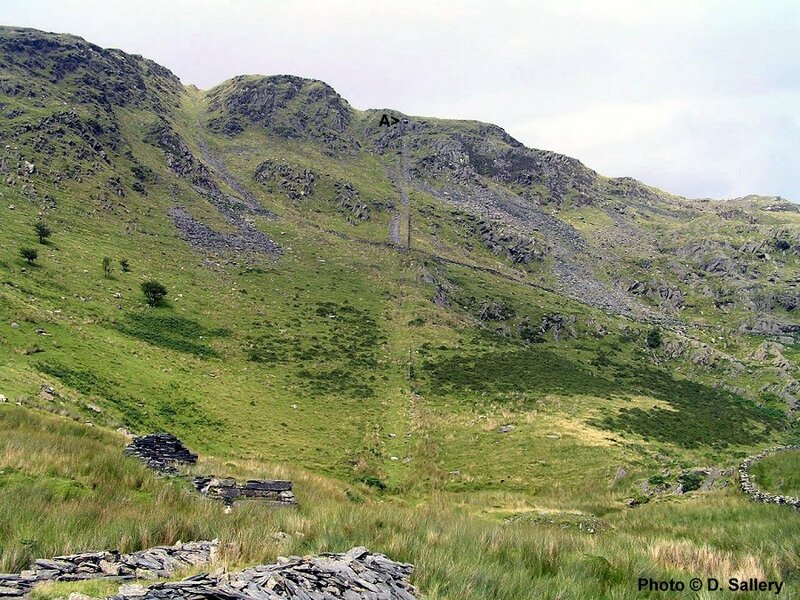 Cnicht rises on the left and the tramway is now on an embankment. 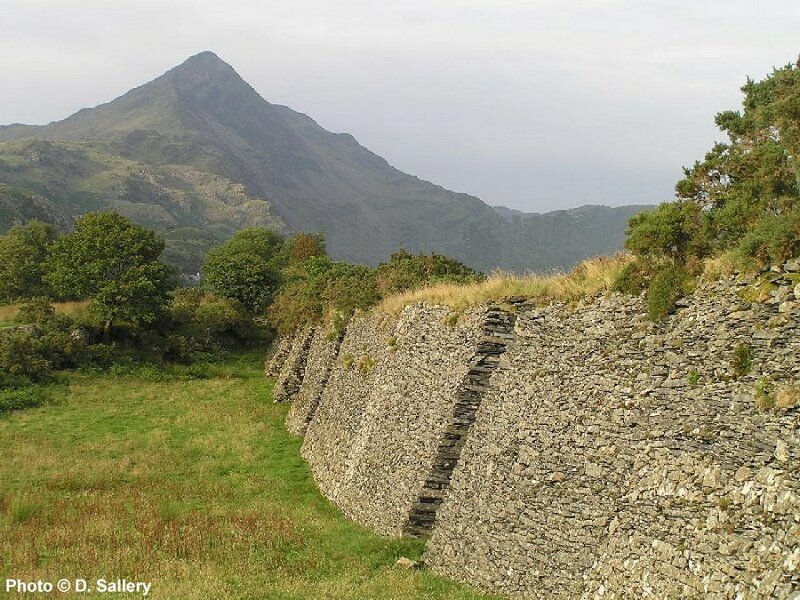 This view is below Croesor village. The only metal bridge on the tramway route is this now sorry looking specimen.